The project solved the problem by replacing the existing automation system AMX, using existing wiring diagrams. 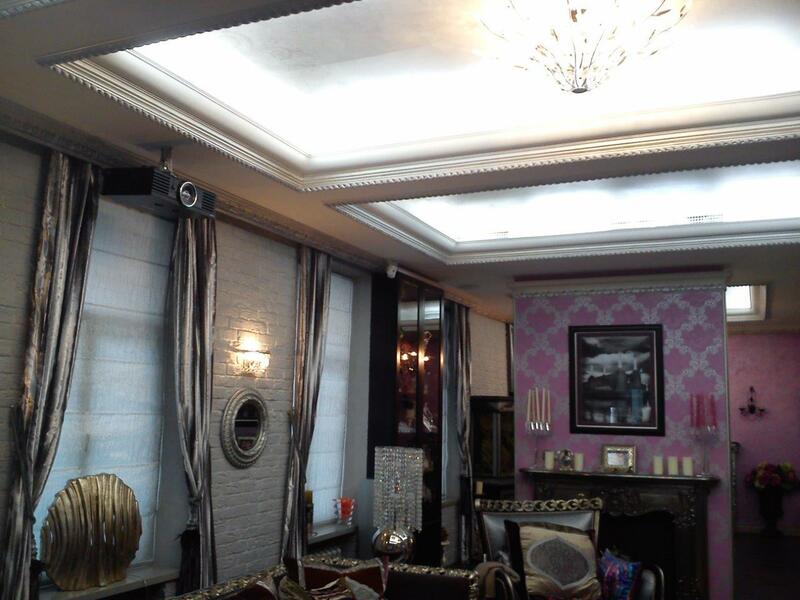 The control of lighting and curtains realized on Domintell automation system. Door and phone intercoms were integrated into the existing IP-telephon-based IP PBX Asterisk, which gives a lot of advantages over the standard intercom system. Analog cameras are replaced by IP-cameras to transmit data and power (PoE) used coaxial cable. On 8 TVs it has been made possible to view independently HD content sources (Sat TV receivers, media players, etc.) that are in the server room. For streaming Cat5e connections and cabling are used. The control of lighting, audio and video equipment is realized on the basis of tablet gadgets (iPads) interface.